Malaysia contains many precious elements that one may never find the enough time to discover every single one of them. The hidden elements in each state are different and unique in their own ways and each of these elements has their very own story to tell. In Sabah, the treasured natural resources are always one of the important trademarks of the state. Thus, if you are to visit Sabah, be sure to look out for these unique flora and fauna residing in the state because these elements are things you would never get to find out in any other places. if you intend to know more about the precious natural resources in Sabah, you can head on to the Kilas River in Beaufort to enhance your knowledge about the different flora and fauna residing in the river. One of the Klias River’s trademarks is having the most unique monkeys residing in the area. Upon visiting the place, you will be able to witness the daily lifestyles of these monkeys when they come out from their hiding places looking for food or simply fooling around with each other. 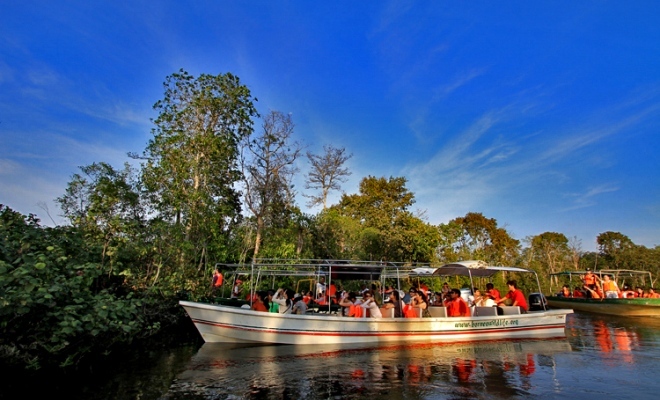 Besides of the monkeys, you will also be able to catch sight of various animal species such as the tree snakes, crocodiles and lizards, as well as the rare bird species around the river’s area. Besides, if you are to stay in the Klias River until the night falls, you will even obtain the rare opportunity to witness the appearance of the beautiful fireflies circling the river. This is definitely an occasion in which you would need to take out your camera and start snapping away so that you could keep this memory everlasting in your photo albums. In order to be able to witness all of these rare sights in the Klias River, you would need to tour around the river area on the cruise, which will definitely provide you with a whole new and fresh experience to learn more about the habitats in the state of Sabah. When you are on the cruise, remember to always keep your eyes and ears alert for the special and sudden appearance of various rare and unique animals such as the different bird species and also the various monkey species residing at the river area. The Klias River will definitely provide you with a great opportunity to learn more about the rare habitats in the state. Thus, if you feel like spending more than one day here, you can head on to the accommodation provided to your by the local people, have a good night rest, and head off for more discovery adventure when the sun rises. The accommodation provided by the local people here is also unique in the sense that instead of the common hotel and resort you are expecting, you will be staying in the traditional longhouse instead and thus, adding spice to your visit to the river.